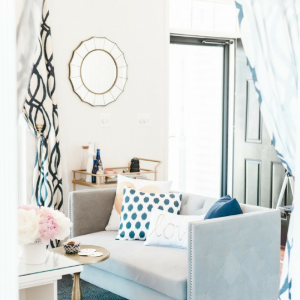 Looking for large wall art ideas for neutral decor? 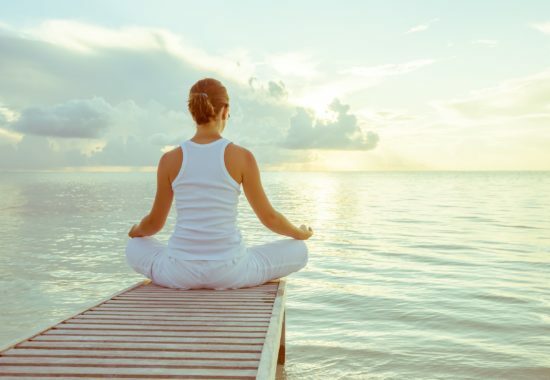 You’re in the right place and hopefully the five pieces we’ve listed above works well with your space. 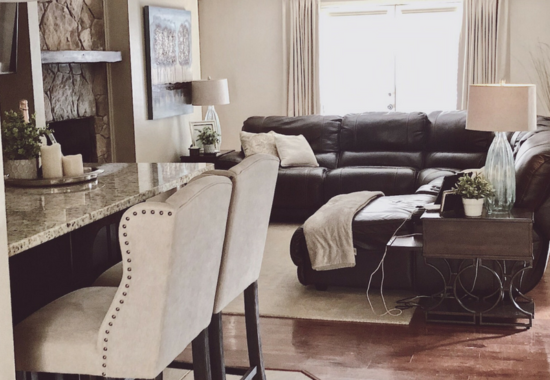 We get asked to keep an eye out for large neutral wall art because now-a-days rooms are huge and the walls are hard to fill. 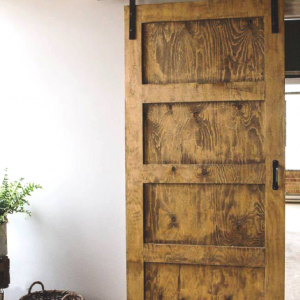 Below we’ve sourced some pretty nice wall art under $100 from a store that we absolutely love. 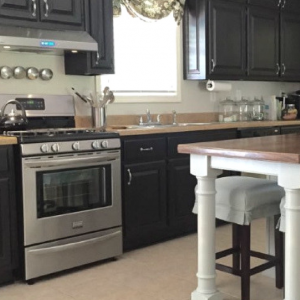 Hope you like them as much as we do. 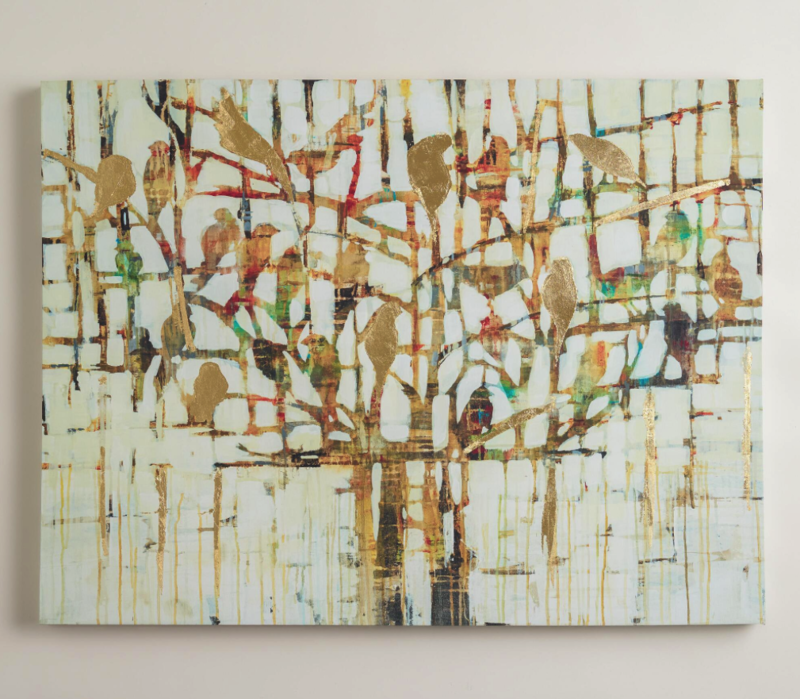 Informed by her travels to Africa and India, Liz Jardine captures her fascination with the diversity of nature in her painting titled “Gold Trees.” This gorgeous piece depicts gold foil embellished birds perched on a tree, filling the air with their beautiful song. 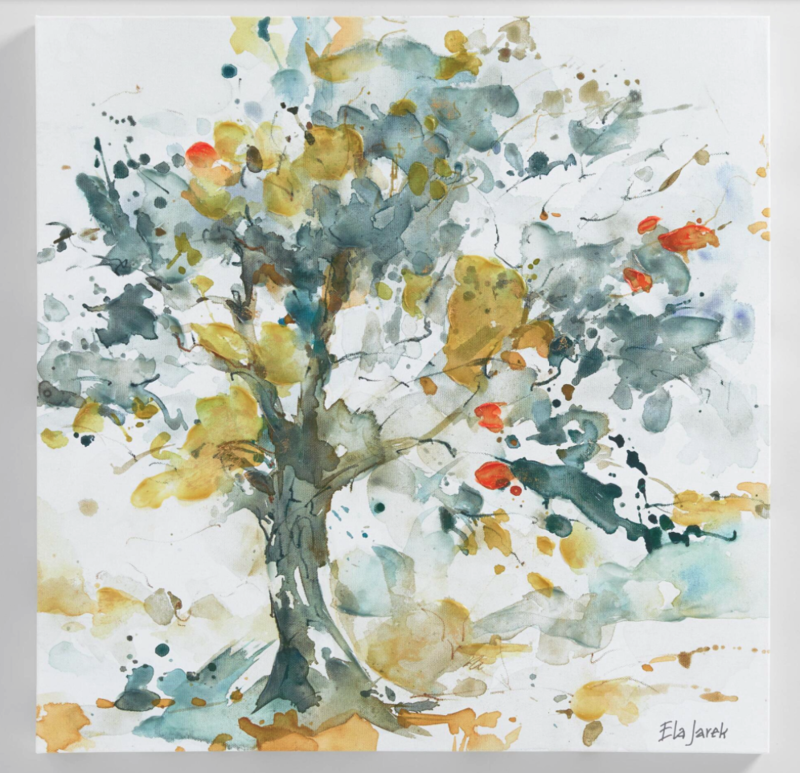 Multiple color washes create an abstract effect in this unique piece, available in an exclusive size only available at World Market. Prague-based artist Ela Jarek takes an intuitive approach to her work by allowing the subject and atmosphere of the day to guide each painting. Artist Michael Long paints in the tradition of the early 20th-century French impressionists, imbuing his work with light and timeless appeal. 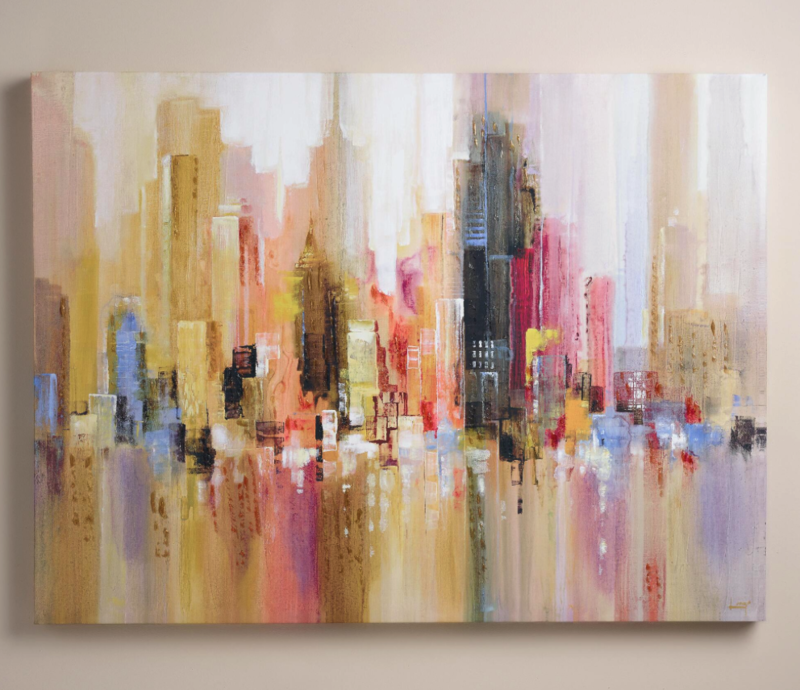 In “City Spree,” he depicts a warm cityscape streaked with blush and peach and embellished in gold. 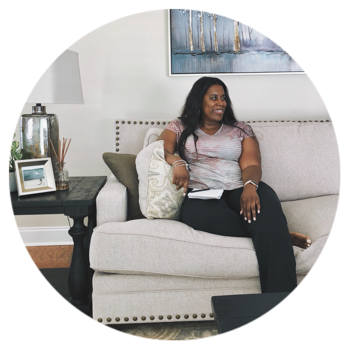 Antionette Saint Leger finds inspiration in the world around her and stories of people from all walks of life. 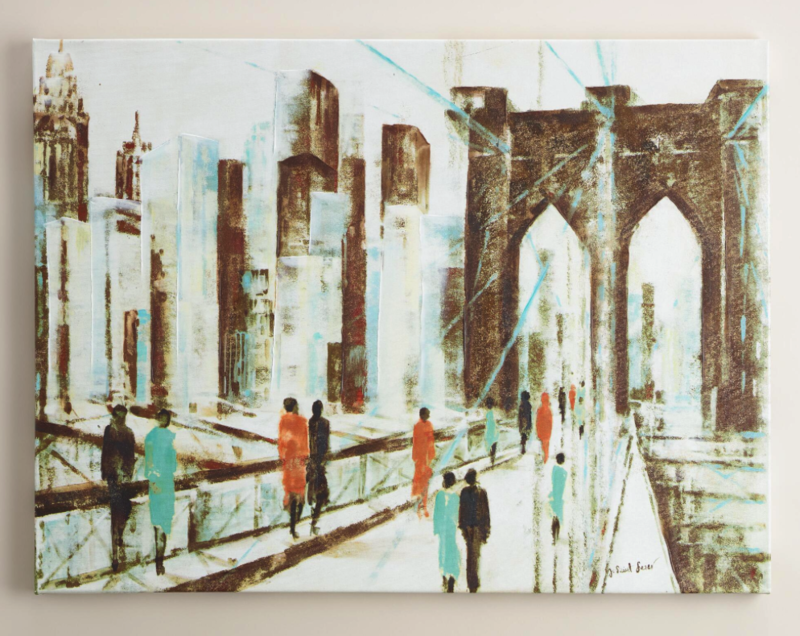 In “Brooklyn Crossing,” that inspiration takes evocative form in the brightly dressed city dwellers traversing an abstract Brooklyn Bridge. 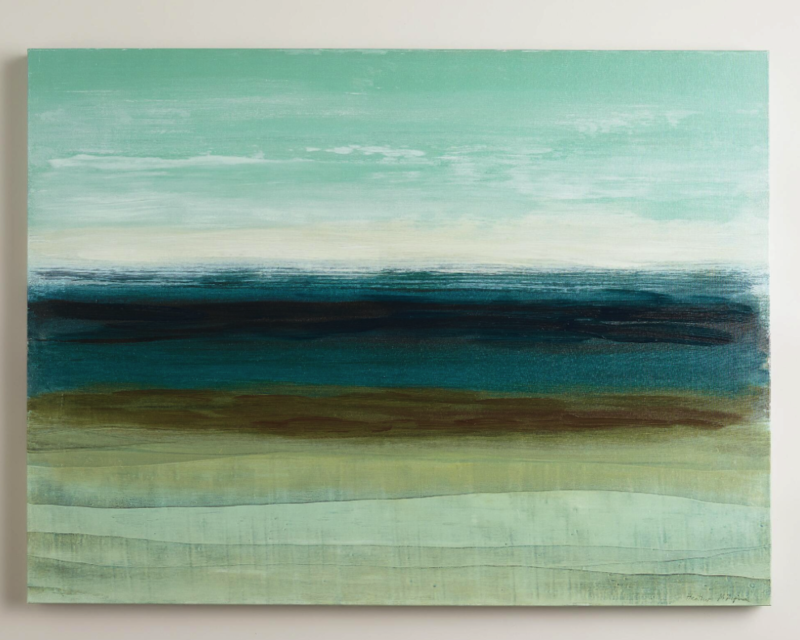 Inspired by a summer day at British Columbia’s Christina Lake, Heather McAlpine’s stunning “Horizon” painting captures the lakeshore with horizontal brush strokes. Enhanced with hand-painted embellishment, this gorgeously textured piece brings a serene note to your interior. 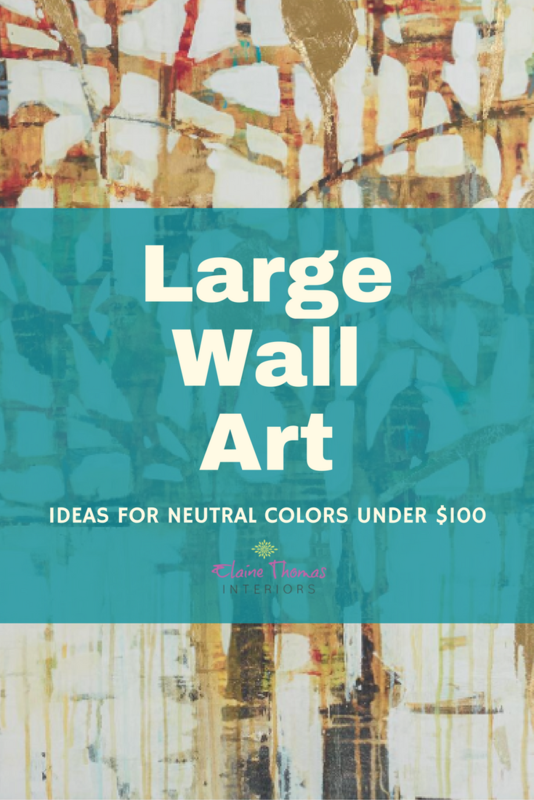 If you believe that someone else could benefit from this post about Large Wall Art Ideas for Neutral Decor Under $100, please share by clicking the social media buttons below.